Korra is named for the avatar in the Season 2 of the Avatar. As the avatar, Korra's role is to maintain balance, and so this Hat not only features aspects of each of the Elemental Hats but also provides a chance to create your own version, all the while being mindful of the balance within the fabric. 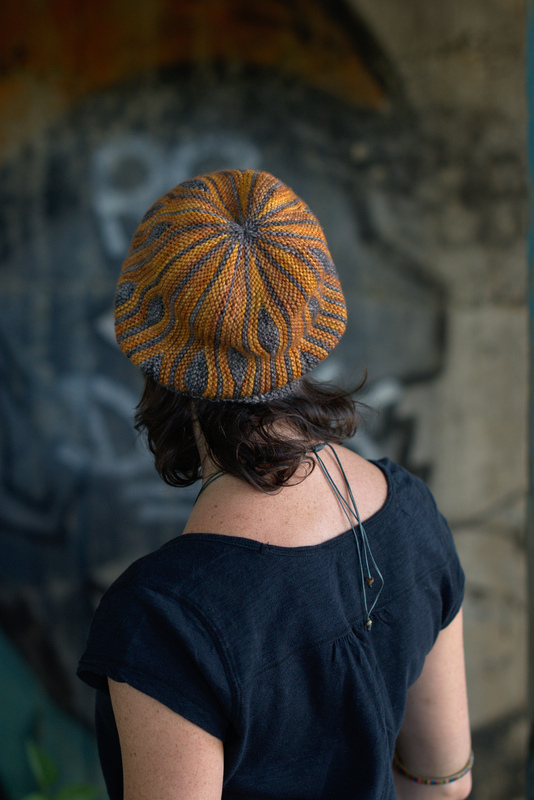 Featuring short row colourwork, each of the Elemental Hats is knit sideways and grafted. The pattern is provided as a map for the short rows - a directional chart - that will help guide you through the pattern. 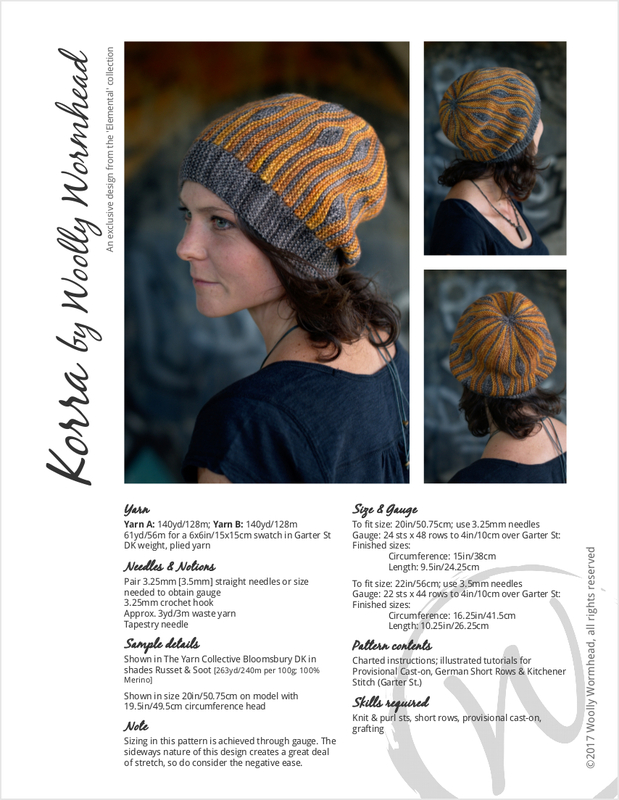 The Elemental eBook contains detailed photographic tutorials, and individual patterns contain illustrated tutorials. Sizing in this pattern is achieved through gauge. The sideways nature of this design creates a great deal of stretch, so do consider the negative ease.